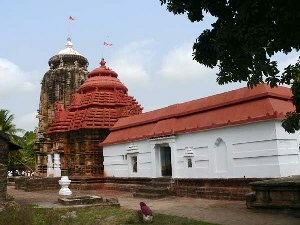 The famous Madhava temple is situated on the eastern bank of the Prachi River, about 6-kms from Niali. The area between Niali and Madhava appears to have been the principal centre of the Madhava (four-armed Vishnu) cult in Odisha, made well-known in Sri Jayadeva's Gita Govinda. The temple is also sometimes referred to as "Durgamadhava" because of the presence of a small 'Durga' image next to Madhava within the sanctum. This joint worship of Durga and Madhava is unique to Odishan 'Vaishnavism', and is yet, another testament of the great Odishan process of synthesis. Madhava is a temple in dynamic worship, and, in fact, draws a large number of pilgrims from all over Odisha.